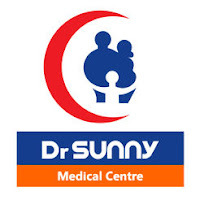 tSunny Medical Centre is located n Mbezi Beach Dar es Salaam and has been operating since early 2017. tSunny Medical Group is a growing healthcare services provider that is set to transform healthcare services delivery in Tanzania with the aim of bringing innovation in general and specialized healthcare services closer to people. Our aim to build the largest network of affordable clinics across the country equipped to provide preventive, diagnostics and treatment services. We are looking for a medical officer to join our team on a full time basis. Provide comprehensive and good quality clinical services to patients at tSunny Medical Centre. Diagnose and institute appropriate treatment plans for patient. Lead the tSunny team of healthcare to provide quality patient care using available technologies and equipment. Ensure the clinic treatment rooms are well equipped at all times. Ensure excellent standards and quality of clinical care services. Ensure that patient data/ information are handled confidentially at all times. Ensure effective clinical procedures, rules, regulations that are consistent with organization procedures. Be registered with the Medical Council of Tanzania. Ability to plan and deliver care in an effective and resourceful manner. Must be focused on developing professional expertise and knowledge by actively engaging in continuing professional education and development.